Residents of eastern Jerusalem praised massacre at Har Nof and murder of Eitam and Naama Henkin. Two Arab residents of eastern Jerusalem, Omar Hilwani, 18, and Mahmoud Abdel Latif, 23, were charged Sunday in the Jerusalem Magistrates' Court with supporting a terror organization and incitement to violence, for posting gleeful messages on Facebook after heinous terror murders. The charges were filed with the approval of the Attorney General, as is required by law in cases like these, where some might cite freedom of expression as a factor against filing charges. 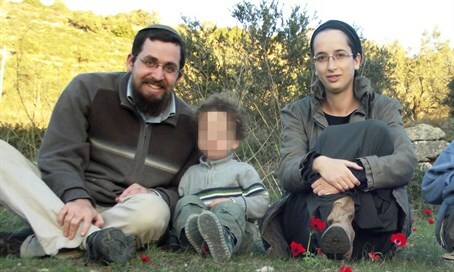 On the day after the murder of Eitam and Naama Henkin Hy"d, Hilwani posted Naama Henkin's picture, accompanied with the texts – "whoever is happy, let him write Allahu akbar," and "The Jewish settler woman who was murdered in the attack in which she cursed the prophet Mohammed at the Al Aqsa mosque, thank God and Allahu akbar." He added: "You who cursed the prophet, a curse upon your father, you jerk. Thank God we got rid of you." Abdel Latif is accused of posting calls for violence and terror against civilians and security personnel, as well as praise, support and encouragement for such deeds, on many occasions and in very wide circulation. In one Facebook post, shortly after the massacre at the synagogue in Har Nof, he posted a photo of one of the victims, covered with a tallit prayer shawl, as well as a photo of a haredi man with guns and knives pointed at him, accompanied by the text – "Blood=blood! Kill them. Death to the settlers." Soon after, he also posted the text: "A great morning, courtesy of the knives."